I recently picked up Daniel Clowes's new book Patience but have yet to crack it: after reading through the recently-released Eightball #1-#18 box set, I decided I would go through the complete Clowes on my way to Patience. 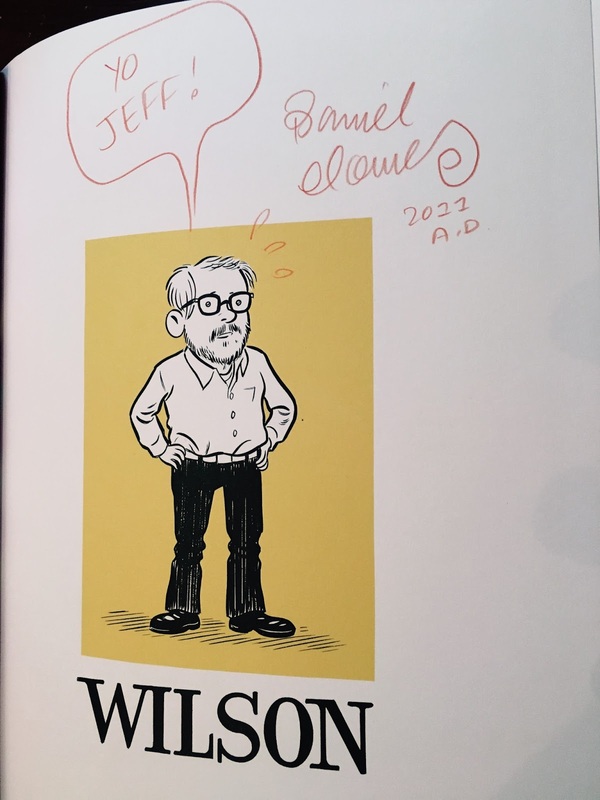 Plowing through Ice Haven (Eightball #22) and The Death-Ray (Eightball #23) kind of left me a little nonplussed (I don't think those two are particularly stellar stories) but revisiting 2011's Wilson has been a real treat. I've been cracking up over how dark and sad and hilarious the book is! 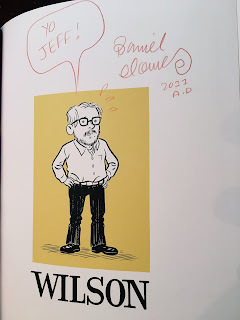 I got a chance to meet Clowes five years ago at The Strand and he signed this copy for me. Yo Wilson!